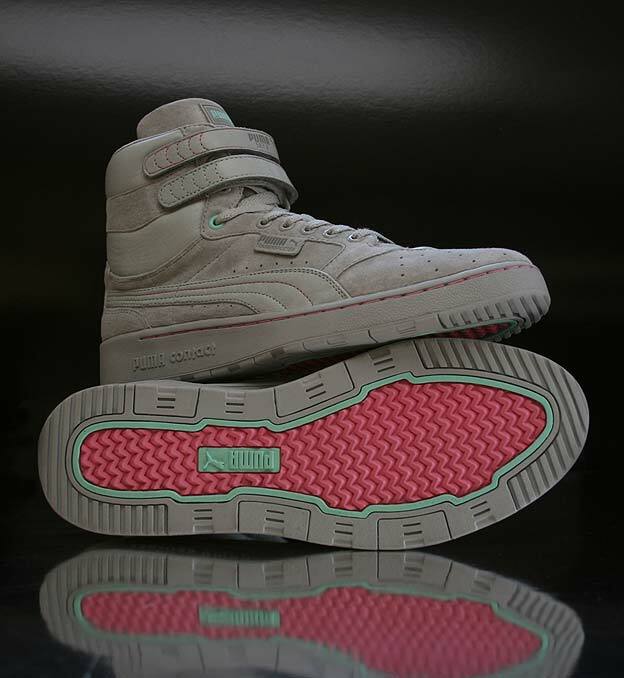 Here we have a closer look at one of the colourways from the Trainerspotter x Size? collab. You must be living in the darkness if you haven’t seen the plethora of Size? collaborations that have been released this year. They’ve gone in hard to say the least. This release keeps the momentum going with a collaboration with UK brand, Trainerspotter. 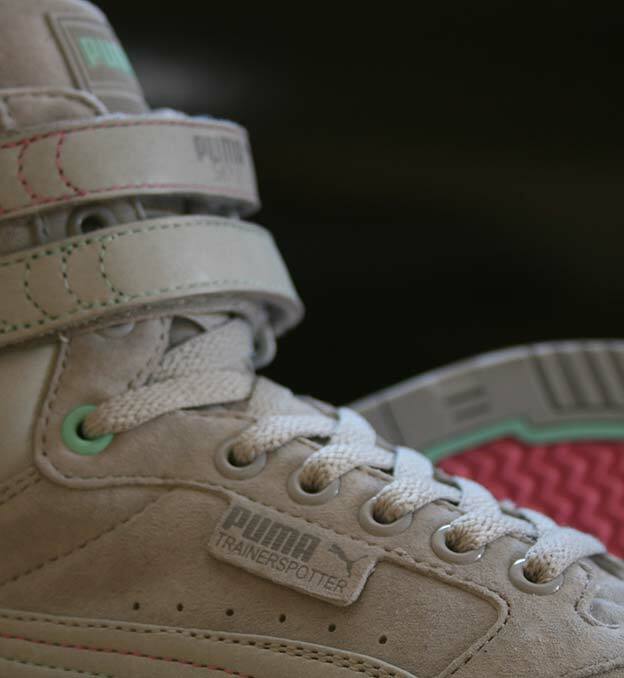 The boys over at Trainerspotter have got serious knowledge when it comes to vintage sneakers. 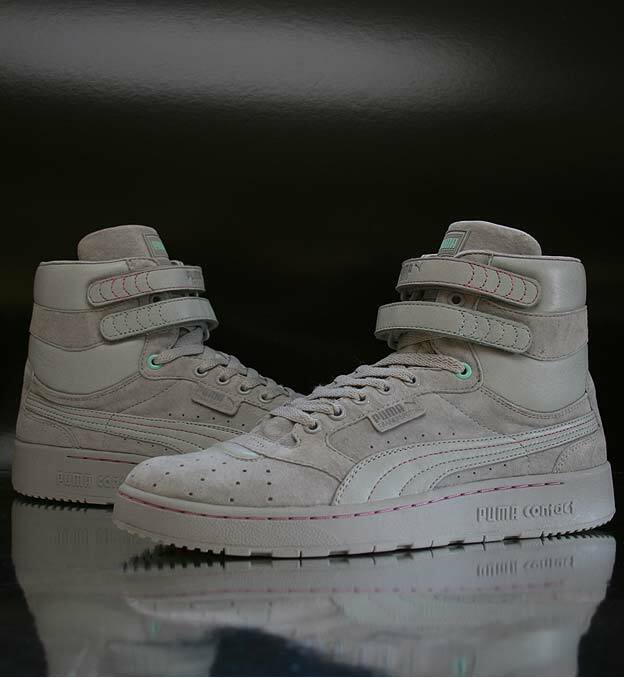 Opting for the Puma Sky II, this release see’s the classic basketball shoe get some Miami Vice colour treatment. The pastel tones of grey, mint and pink really keep this colour-up fresh and they definitely keep the 80’s vibe intact. The grey is dominant throughout, and from a distance, that’s all you will probably catch a glimpse of. 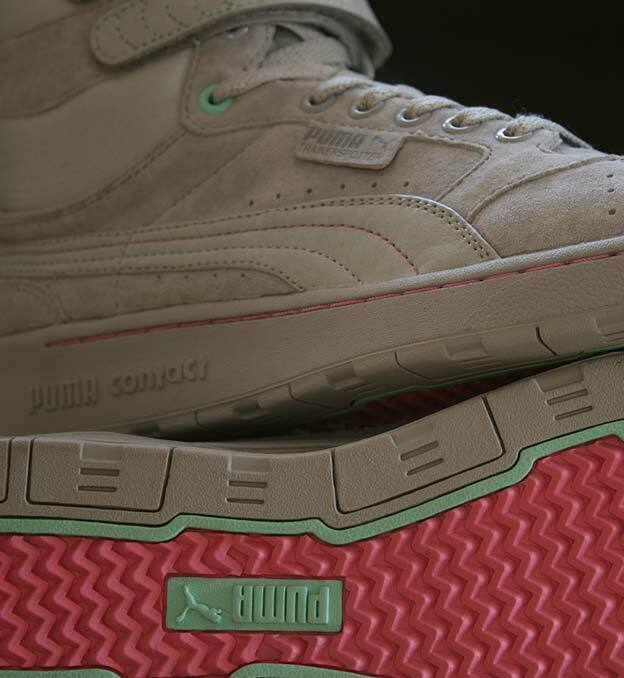 A combination of suede and leather on the upper is always a pleasing combination. On closer looks, the finely placed touches of those strong pastel colours adds necessary detail. 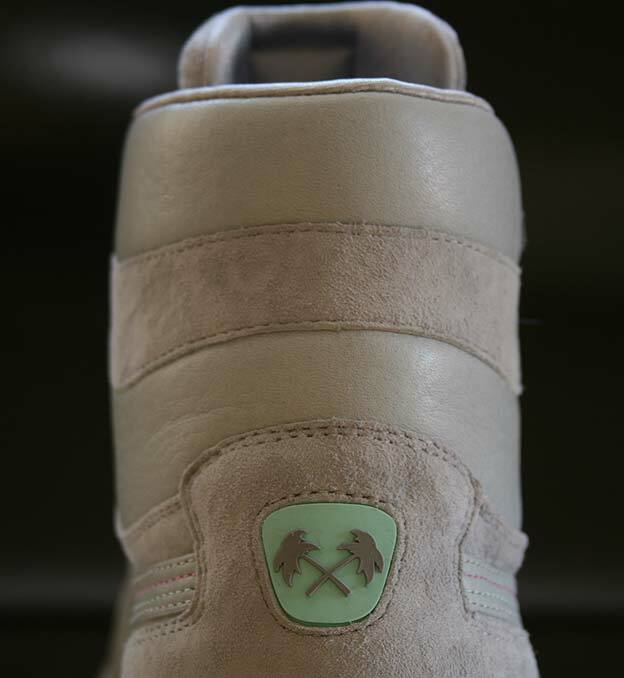 Trainerspotter branding also sits comfortably on the heel and ties well into the Miami Vice theme. It’s the subtly that makes this shoe work so well. If that mint green and pink was overly used, it could be entering some teeny pop business. Thankfully this release stays well clear of that. Stay tuned for more news on the second colourway very soon. 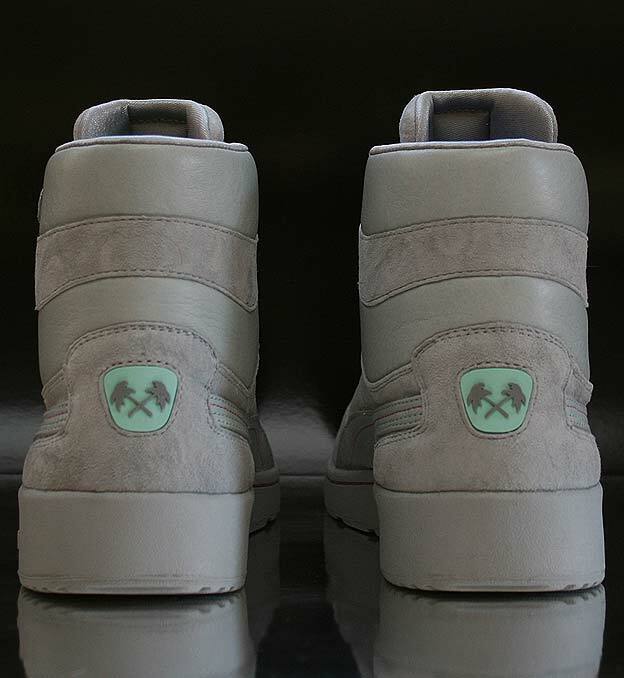 These will be available exclusively at Size? stores on 16th of October.